From the limitless imagination of New York Times and USA Today bestselling author Julie Kagawa, The Iron Fey series continues.My name--my True Name--is Ashallayn'darkmyr Tallyn.I am the last remaining son of Mab, Queen of the Unseelie Court.And I am dead to her.My fall began, as many stories do, with a girl...To cold faery prince Ash, love was a weakness for mortals and fools. Then Meghan Chase--a half human, half fey slip of a girl--smashed through his barricades, binding him to her irrevocably with his oath to be her knight. Meghan is now the Iron Queen, ruler of a realm where no Winter or Summer fey can survive and with the unwelcome company of his archrival, Summer Court prankster Puck, and the infuriating cait sith Grimalkin, Ash begins a quest to find a way to honor his vow to stand by Meghan's side.To survive in the Iron Realm, Ash must have a soul and a mortal body. But the tests he must face to earn these things are impossible. And along the way Ash learns something that changes everything. A truth that challenges his darkest beliefs and shows him that sometimes it takes more than courage to make the ultimate sacrifice.Don't miss the first book in Julie Kagawa's highly anticipated new series, SHADOW OF THE FOX, AVAILABLE OCTOBER 2, 2018"Julie Kagawa is one killer storyteller." 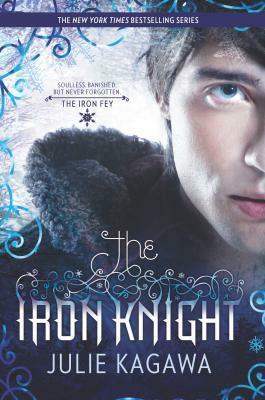 --MTV's Hollywood Crush blog"The Iron King has the...enchantment, imagination and adventure of... Alice in Wonderland, Narnia and The Lord of the Rings, but with lots more romance." --Justine magazine"A full five-stars to Julie Kagawa's The Iron Daughter. If you love action, romance and watching how characters mature through heart-wrenching trials, you will love this story as much as I do."